BUY ITS VERY NATURE TEAK WOOD IS MAINTENANCE FREE – HOWEVER TEAK CARE PRODUCTS CAN BE USED FOR COSMETIC PURPOSES OR TO RESTORE AGED TEAK TO ITS ORIGINAL GOLDEN-BROWN HUE. To do this properly you need to follow specific guidelines and only the best in teak care products will do. After two decades experience sourcing and selling everything related to teak furniture we can recommend our Golden Care range of products as being the only option for the cosmetic enhancement of newer teak or the restoration of aged teak. How do you use our Teak Care Products to restore aged teak? Lasts up to four times longer than Teak Oil which should never be used anyway as it’s virtually impossible to remove and can cause black spots on the wood. Our Teak Protector lasts up to twice as long as other Teak Care Products and Sealers. 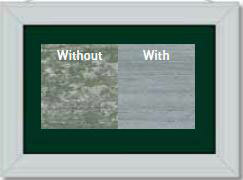 Our water-based Patinizer protects the wood water and dirt. As a consequence of this it also prevents mildew growth. Through this process it slows down and enhances the end result of the ageing process so the wood will take on a beautiful silver-grey patina instead of turning dark grey or green. BUY TEAK CARE PRODUCTS TODAY FROM THE GARDEN FURNITURE CENTRE.